One of the coolest cosplayers I have ever seen, also happens to be one of the youngest that I know. I would like to introduce to everyone “Sith Elsa” otherwise known to her family and friends as Gabriella. Gabriella, is the daughter of one of my friends who happens to do quite a bit of cosplaying on his own with the famous 501st Legion of Star Wars cosplayers. 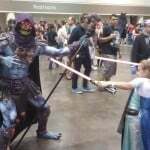 I’ve been seeing the photos of Sith Elsa over the last year, as the family has been doing plenty of convention appearances. 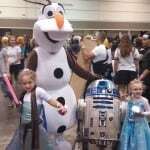 Not only is Sith Elsa creative to me, it also shows me how much fun and enjoyment a whole family can have with cosplaying. Once you see the picture spotlighted below, you’ll find it hard to also not fall in love with this fun loving cosplayer. 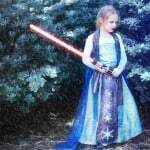 I wanted to do a special spotlight on Gabriella and show off her famously cute and creative – Sith Elsa cosplay, which is making the rounds on the con circuit. Make sure to check out Sith Elsa’s Facebook page that has WAY MORE photos to look at, so give her a follow as well! 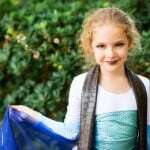 With permission of her Father Rick and Mom Tabatha, we have an interview with Sith Elsa herself! 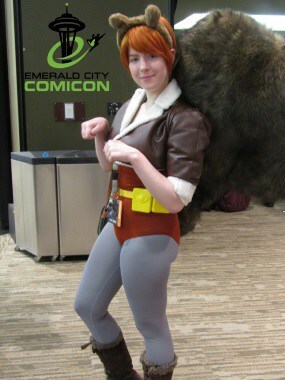 PopCultHQ: Was there a cosplayer you first noticed? PopCultHQ: What made you want to start do cosplay? 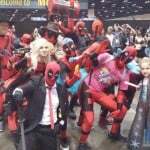 PopCultHQ: What do think of all the cosplayers at conventions? PopCultHQ: Princess Elsa, how did you come up with that idea? PopCultHQ: That’s right, you HATE to be called Princess Elsa. 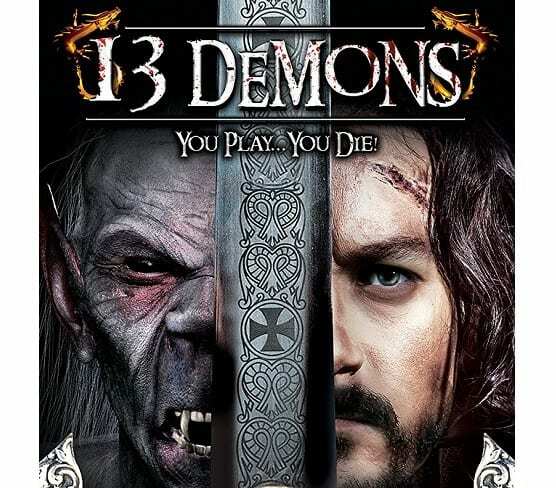 I’ve made that unfortunate mistake before. My throat still hurts from your force choke! 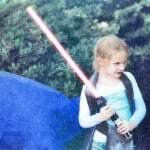 PopCultHQ: Do you secretly want to be a Sith Lord? 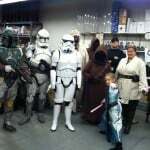 PopCultHQ: Do you help in making the costumes with Mom? PopCultHQ: How do you pick what you want to cosplay? 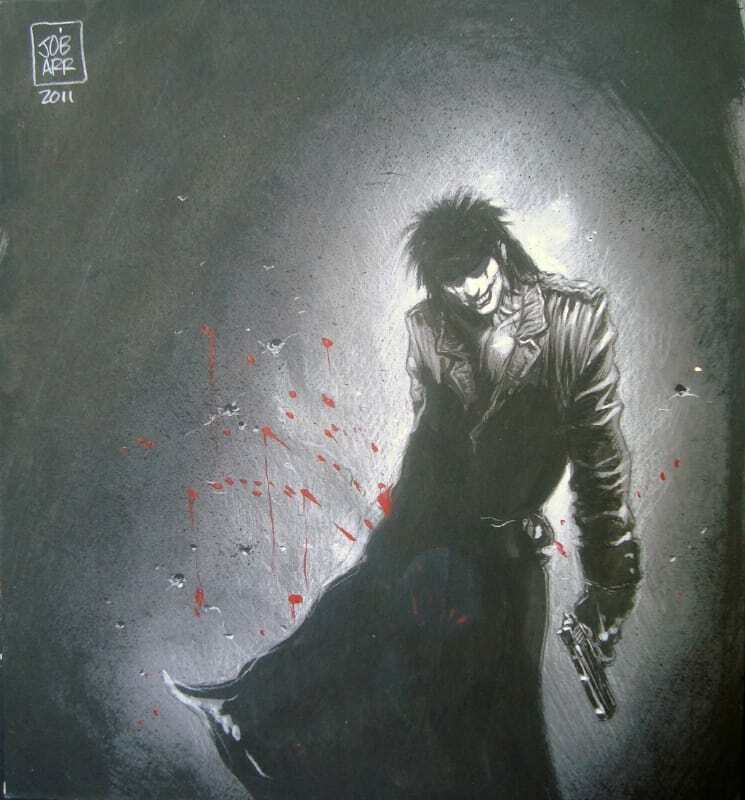 What is your next cosplay idea? PopCultHQ: How do you like the attention cosplay has given you? 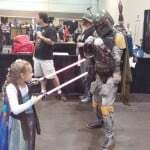 PopCultHQ: Do you want to keep doing cosplay as you grow older? Spider-Gwen writer and co-creator Jason Latour, shared Gabriella’s costume on Halloween. Even artist Robbi Rodriquez, said she looked fantastic!! 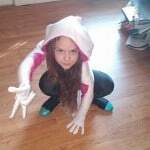 PopCultHQ: How big a fan are you of Spider-Gwen? How cool was it to have the creators see your cosplayer? Are you a Spider-Gwen comic book fan? PopCultHQ: What are you a huge fan of – from TV, movies or comics? 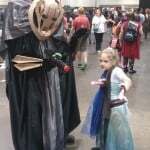 PopCultHQ: What would you tell another young person who would love to cosplay but is too afraid? PopCultHQ: Thank you for doing this interview! PopCultHQ Comic Book Spotlight: “Klaus #1” – by Grant Morrison and Dan Mora!